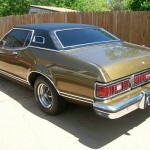 For 1974, the Mercury Cougar moved to the Ford Torino / Mercury Montego platform and for the next three years would be a corporate twin of the Ford Elite. 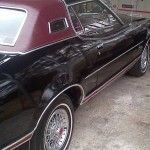 The Cougar switched to the larger platform to compete with other personal luxury coupes that were becoming popular at the time; such as, the Chevrolet Monte Carlo, Pontiac Grand Prix and the Oldsmobile Cutlass. 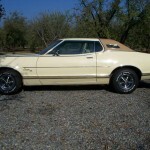 With the change to the Torino / Montego platform, the Cougar wheelbase grew to 114 inches and went from being a luxury Ford Mustang in 1973 to being a junior Ford Thunderbird in 1974. 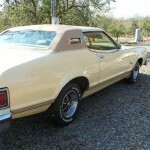 Gone were the Cougar base model and the convertible. All Cougars were now XR7 models. The new Cougar carried forward styling ques from its predecessor with the three-piece grille up front. 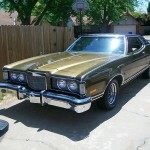 However the grille now had a new hood ornament up top, which featured the silhouette of a Cougar. 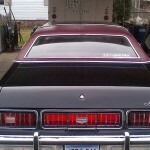 The rear of the Cougar had a lot of similarities with the Montego on which it was based. 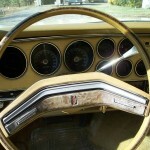 However, on the C-pillar, the Cougar had the required opera windows that were almost required of a personal luxury car in the 1970s. 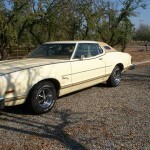 The Cougar came standard with the 351 cubic inch “Windsor” V8 with an automatic transmission. A manual transmission was not available. 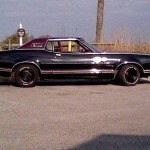 Optional engines included a 400 or 460 cubic inch V8 or a rare, Q-code, 351 “Cobra Jet” V8. 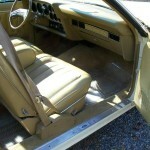 Inside the Cougar came with a standard bench seat with cloth or vinyl upholstery. 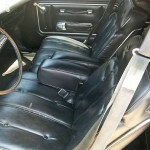 Optional were either a twin-comfort lounge 60/40 split bench seat with center armrests available in cloth, vinyl or optional leather trim; or all-vinyl bucket seats with center console. 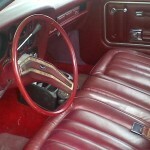 The Cougar continued to move upmarket in 1975 with added features and options. Mercury was giver buyers what the wanted. Performance options included a high-performance rear axle and ‘Traction-Lok’ differential. 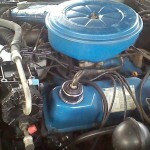 Engine options were unchanged with 351 cubic inch two-barrel V8 standard with the 400 cubic inch two-barrel V8 or 460 cubic inch four-barrel V8 optional. 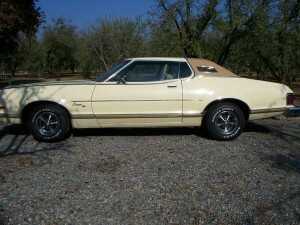 The Cougar would receive an all new body for 1977 and would become a corporate twin of the Ford Thunderbird. The Thunderbird and Cougar would continue to share platforms until 1997. 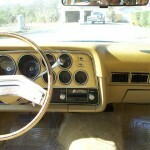 Read more about the Cougar’s 1974-1976 cousin the Ford Elite. 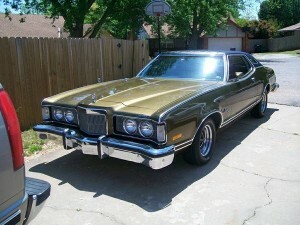 This entry was posted in Cougar, Mercury and tagged Cutlass, Grand Prix, Monte Carlo, Montego, Personal Luxury, Torino. Bookmark the permalink.